Sunday Quote!- Sanctification and Vocation | J.W. Wartick -"Always Have a Reason"
I think this question is spot-on. The notion that we as Christians simply are automatically on a linear path to complete sanctification does not match reality and indeed can be extremely damaging to the life of faith. We are sinner-saints who struggle with sins throughout our lives and we must cast our cares on God, ever trusting in the blood of Christ and work of the Spirit to cleanses us from sin and unrighteousness. What thoughts do you have on sanctification in the life of the believer? How might we be sanctified? Whatever your views, Sanctification: Explorations in Theology and Practice was a very insightful read well worth the time. I recommend it highly. 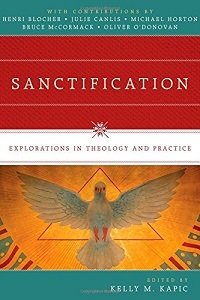 “Sanctification and Ethics” by Oliver O’Donovan in Sanctification: Explorations in Theology and Practice edited Kelly Kapic (Downers Grove, IL: InterVarsity, 2014). « Really Recommended Posts 6/12/15- Luther, Treecats [what!? ], and more!